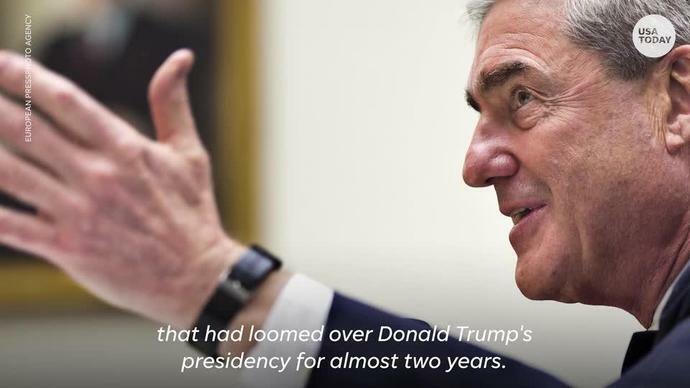 WASHINGTON - Congress on Sunday got its first peek into what special counsel Robert Mueller found after years investigating Russian interference in the 2016 election and any possible collusion with President Donald Trump's campaign. The summary was compiled by Attorney General William Barr and put into a four-pagesent to Congress. It was created after Barr spent days reading through Mueller's lengthy investigation, which was completed on Friday. It attempts to answer key questions that have hung over Trump's presidency, specifically whether the president committed the crime of obstruction of justice and colluded with Russia.